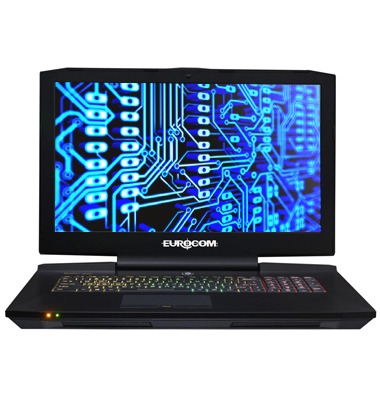 Eurocom has consistently delivered exceedingly powerful mobile systems. Last year, the Canadian company sent us its P5 Pro mobile server (deskeng.com/de/?p=24638), a computer that delivered blazingly fast performance at a premium price. To start off 2016, Eurocom sent us its new Sky X9, a system the company says is the most powerful mobile workstation ever made. With a claim like that, we couldn’t wait to put the Sky X9 through its paces. 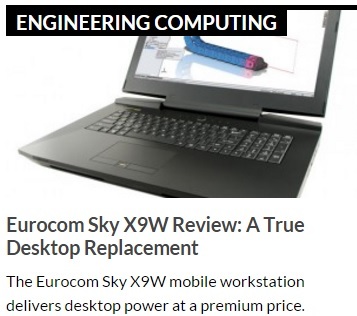 Thanks to its fast CPU, abundance of memory and high-end graphics card, the Eurocom Sky X9W turned in the best performance we have ever recorded for a mobile workstation. 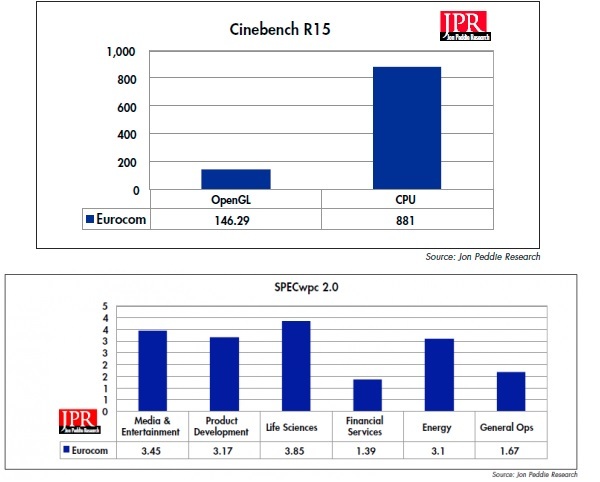 On the SPECviewperf test, which focuses solely on graphics, the Eurocom Sky X9W beat all competitors, often by a wide margin, even surpassing the performance of many desktop workstations. For our SOLIDWORKS tests, we have recently begun using the new SPEC SolidWorks 2015 benchmark. This new evaluation performs nine graphics tests and two CPU tests. Although this marks the first review in which we are publishing these new results, we did go back and retest several other systems we previously reviewed. With its fast CPU and high-end mobile graphics system, the Eurocom Sky X9W turned in great results on this real-world performance evaluation. We also ran the SPECwpc benchmark and the Eurocom Sky X9W beat the competition on nearly every aspect of this demanding test. The Eurocom Sky X9 runs desktop- class CPUs and GPUs, supports 4K display to a 17.3-inch monitor, and can be stuffed with up to 5 terabytes of storage and 64 gigabytes of memory.